The market for sports drinks is well established, with some massive players already sitting comfortably at the table and tucking into a large slice of the big-money pie, but here in the UK there are the earliest tremors of something new breaking through. After writing our comprehensive guide on what you should be drinking for football, we were contacted by a company called iPro Sport congratulating us on the article and, gently offering their own brand spanking new sports-drink concoction as an alternative. When we were told that as yet it’s not available in the shops, our intrigue grew further. Apparently, it’s only available on their website at the moment (though there are plans to get it into stores soon). Of course the attraction of getting our hands on some of the latest sporting juice, which isn’t yet available ‘over the counter’, sealed the deal and iPro were good enough to ship us three cases of their creation to road test. Before we get down to the review, a bit of background. You might be forgiven if, as was the case with us, you hadn’t heard of iPro before. It’s a new company, formed in 2012, and still a relative minnow against the heavyweights that supply our Lucozade, Powerade, and Gatorade, but it is by no means content to stand in the corner and watch the other kids frolic around on their own in a sports drink market thought to be worth over £2bn in the UK alone. About a fortnight after we had been shipped some product, they told us they’ve got some big news. When, they said ‘big’, we weren’t quite expecting the announcement that was to follow. It turned out that they’ve entered into a 10 year agreement worth £7 million with Derby County Football Club, which will see Pride Park Stadium renamed as the iPro Stadium as of 7th December 2013 (when they play Blackpool in the Sky Bet Championship live on Sky Sports TV) – here’s the press release in full. By the way, that might turn out to be a very smart move indeed if newly appointed Steve Maclaren can get the team firing into the Premier League. The exposure would be global! 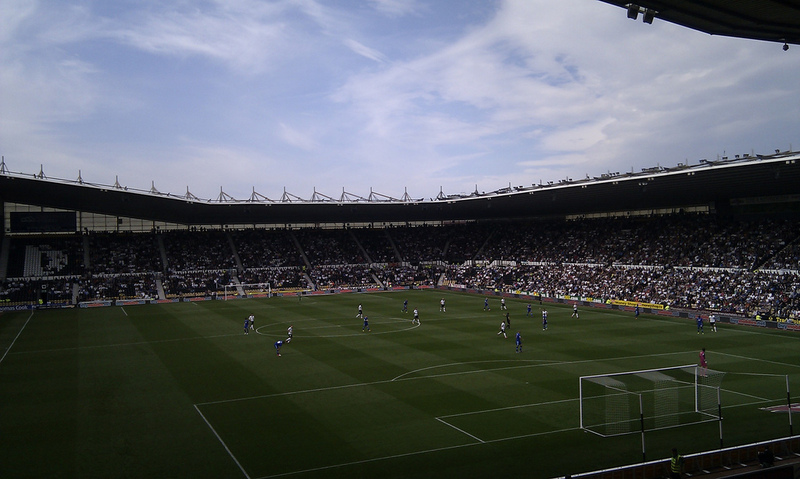 As we write, Derby currently sit in 4th place in the Championship and have won all three games since they signed the naming rights deal with iPro in November – could it be something in the drink?! And that’s exactly the point. iPro are threatening to be serious players in the market – the sponsorship deal is a huge play for a company whose drinks weren’t even in the shops a couple of weeks ago. So it’s about time we took a look at the merchandise. It looks as though in the long-term iPro could be involved in all sorts from nutrition & health foods to sports gear & accessories. But it’s the sports drink that’s the flagship product and the one we’ve tested. In terms of its appearance, the bottle is fairly smart and curvy, a bit more bendy and squeezy than some of the rigid designs of the other brands, with a full wrapper around it. You can’t see through to the liquid as easily as you can with its competitors, but then since the drink is clear, there’s not much to see there anyway. It’s reassuring that they haven’t used artificial colourings, and makes a change from the bright orange of Gatorade or the smurf-juice blue colouring of Powerade. It has a regular sports cap, nothing too fancy. In terms of price, the website is selling a crate of twelve bottles for £11.99, exactly the same as a crate of twelve Lucozade Sport would cost you online. The drink comes in three ‘natural’ flavors: Orange & Pineapple, Berry Mix and Citrus Blend. We’ve tried them all and they’re on a par with the other sports drinks. They’re all fruity, with a very slightly sour aftertaste (with rubbery top-notes of AstroTurf… no, I just made that up). But there were no unpleasant taste surprises, and on balance Citrus Blend was probably our favorite, followed by Berry Mix. We tested the drinks on a group of 5-a-side players and we also received good feedback from them too, with the group saying that they were as good as any of the other drinks out there in the market in terms of taste. Most people seemed inclined to stick with the drinks they already know though, showing just how difficult it is to tempt people away from their existing favorites. 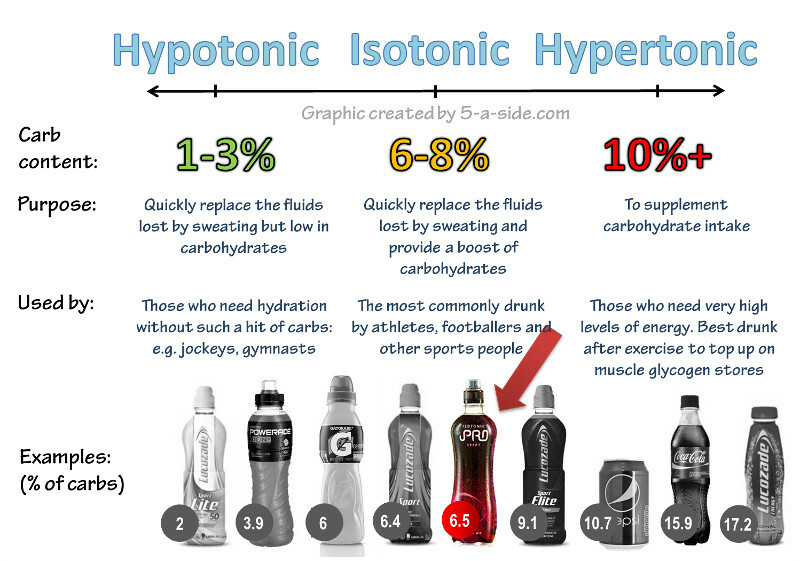 iPro Sports, comfortably an isotonic drink, comparable with Lucozade for carbohydrate content. Look at the Vits on That! iPro’s venture into the sports drinks market is a bold move that will hopefully help inject even more competition into a very crowded market. We’ve tried it and it’s not bad stuff – it’s inevitable that it will hit stores near you soon, so give it a try and let us know your opinion. 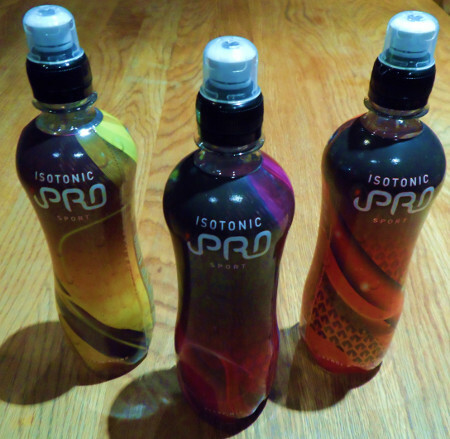 Disclaimer: This article is intended to be an objective review of the range of iPro sports drinks. 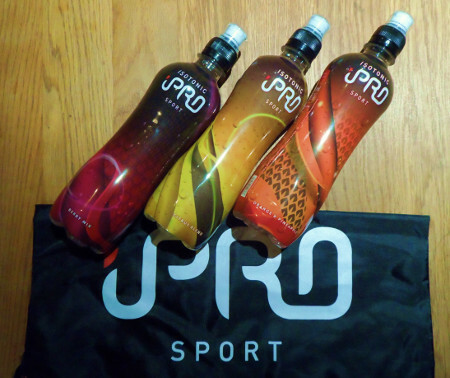 For full disclosure, as we have noted in the article, we received a trial sample of 3 cases of iPro drinks. 5-a-side.com has received no payment from iPro for this article, nor does it have any ongoing relationship with the firm. Any links to iPro are not affiliate links. Other sports drinks are available. Who is a sell out, and why? There are no ‘studies’ or trials done by Ipro. And you really don’t need a sports drink to exercise, unless you are working out for longer than 3 hours- water is better. Ricky, I haven’t yet seen any studies. I’m not sure what these studies would show anyway though – iPro’s drink is much the same as some of the other major manufacturers who do have studies. Controversy around these studies exists but it does appear that it’s generally accepted that you don’t need a sports drink if you’re playing for less than 1 hour – we’ve covered what we think people should drink for football in a separate article: What Should You Be Drinking For Football? Look forward to the orange pee with all that vitamin C!! Wondering what kind of information iPro disclose with regards to trials and the general science behind the drinks. According to Tim Ferris in the ‘4-Hour Body’ there are a lot of smoke and mirrors in the sports supplement industry, with a minority of companies making completely false claims about their products. How open are iPro about their drinks? Dene, it’s a good comment. We touched on the controversy about whether people need to take energy drinks in our ‘what should you be drinking for football‘ article. I’ve had a look on the iPro site and there’s not much detail there, no studies etc – though we linked to a few good sources in the earlier article I mentioned. My own opinion is that we should all drink whatever makes us want to keep well hydrated, since it seems that not even the scientists can fully agreee. It does seem clear to me that most people probably don’t need an energy drink for bouts of exercise less than 1 hour – but people drink them anyway! Looking at the ingredients, it I think iPro is on a par with all of the others, but with a fair hit of vitamin C! Someone from iPro will put me right if they’re reading this I’m sure.